As a BibRave Pro, I am excited to share these race and gear discount with you. Check back often for discount updates! Interested in joining the BibRave Pro team? 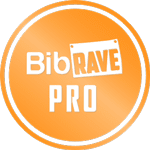 Learn all about becoming a BibRave Pro here and stop by BibRave.com to read a ton of awesome race reviews (and write your own, too! ).